Middleton Central Foodbank is a new community project that is due to open in June. Rising out of the growing concern that many people have about food poverty and the challenges that families and individuals face in these hard economic times, a number of local churches in Middleton have decided to come together to set up a joint-church foodbank which will be based in the Lighthouse Project located in the formerly derelict Grade II listed Warwick Mill. 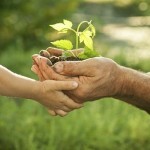 The project is being facilitated by Inspire Middleton through it’s Lighthouse Project. Left – Right: John Richards (Alkrington & Providence URC, Anne Hayward (All Saints & Martyrs), Jim Dobbin MP, Ann Icely (Mills Hill Baptist), Pam Semp (Upper Room Christian Fellowship), and Mary Leonard (Mills Hill Baptist). Over the years churches have often helped people in crisis with bags of food or other emergency supplies, typically on a small scale basis. By working together the new project will be part of the national Trussell Trust network of foodbanks which will enable the group to combine their efforts and scale up the work to provide a more structured and effective solution for local people who find themselves experiencing food poverty. In the last year Trussell Trust foodbanks supported over 913,000 individuals with 3 days of emergency food, of which over 330,000 were children. In today’s economic climate many people are potentially only 1 or 2 pay days away from a foodbank and this is of serious concern. The Middleton Central foodbank team are currently in the process of building up their ‘bank’ of food stocks (all donations gratefully received), recruiting volunteers to help with the work, and looking to link with local organisations to partner with for referrals and support. 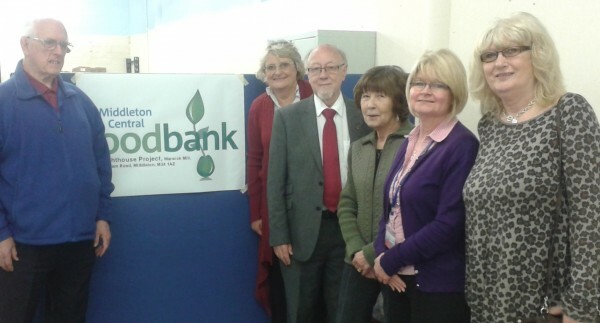 Jim Dobbin MP was present at the launch of the Lighthouse Project vision in 2008, and he recently visited Warwick Mill to see how the community work was going and to find out more about the foodbank. During his visit he met and chatted with foodbank volunteers from a number of the churches supporting the work. Jim was pleased with his visit and offered his ongoing support. If you too would like to get involved helping local people in crisis then get in touch, see details below. We are running a FoodRaising event at the Lighthouse Project on Friday 30th May 2014 from 11am, to help build up the food stocks so that the foodbank can open. « Food Raising coffee morning – Friday 30th May 11am.